for $299,000. The lot size is 1.640 Acre(s). 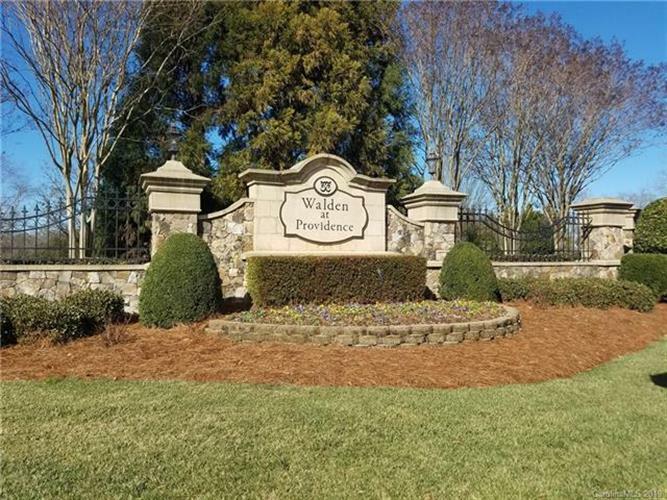 Beautiful lot in highly desirable Walden at Providence. This large and level lot is tucked away in the quiet back section of Walden at Providence. Surrounded by gorgeous custom estates, it is the perfect location to build your new dream home. Lot is cleared with a wooded buffer for privacy. Top rated, highly sought after Marvin Schools. Wonderful "South Charlotte" community with low Union County taxes.Truly an opportunity to build your dream home in a prime location with the builder of your choice. One of the few lots in Walden at Providence with sewer hook-up, no septic needed. Convenient to all yet hidden in a tranquil setting. The best of all worlds.